Coding teaches logic skills and problem solving, and it helps kids succeed in an increasingly digital world. 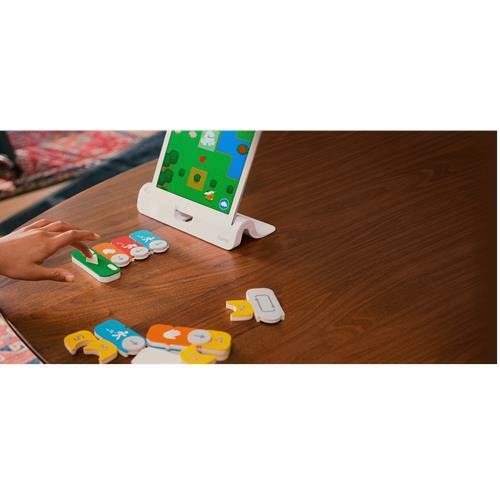 Osmo Coding is the easiest way to introduce coding to your child. You control Awbie, a playful character who loves delicious strawberries. 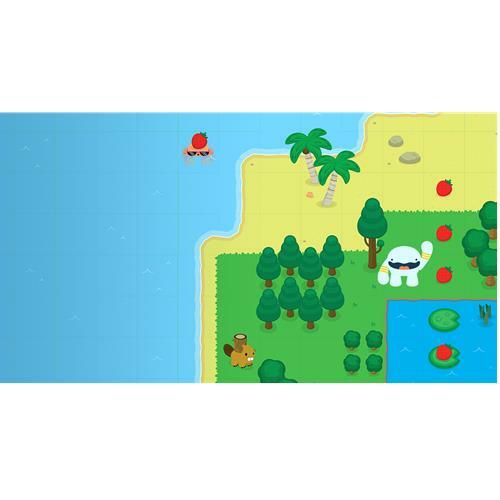 With each coding command, you guide Awbie on a wondrous tree-shaking, strawberry-munching adventure! Children learn best through play. Combining tangible blocks with an interactive game fires up a child’s imagination, inspires dreams and builds confidence. 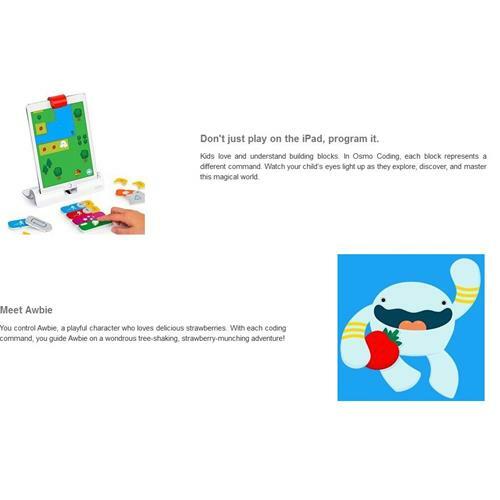 With Osmo Coding, multiple kids can play together on the same iPad. There’s enough room on the table for two or more kids to assemble sequences and play together. 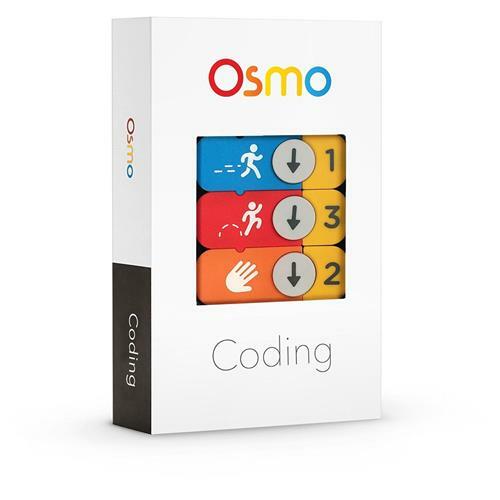 Created by a team from TIDAL Lab at Northwestern University, Osmo Coding is inspired by over 50 years of research into computer programming education. The game is appropriate for ages 5–12 and keeps kids engaged for endless hours.